Subscript and superscript text formatting is commonly used in the math and science world when writing out chemicals, formulas, and expressions. 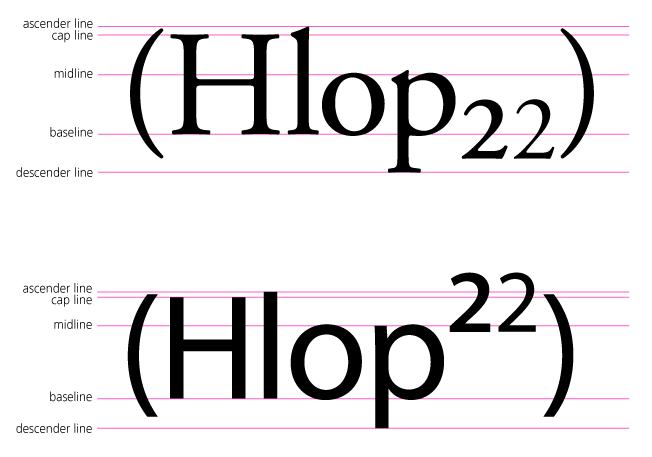 Subscript appears slightly lower and smaller than the primary text, while superscript appears slightly higher and smaller than the primary text (like an exponent, 8^3). 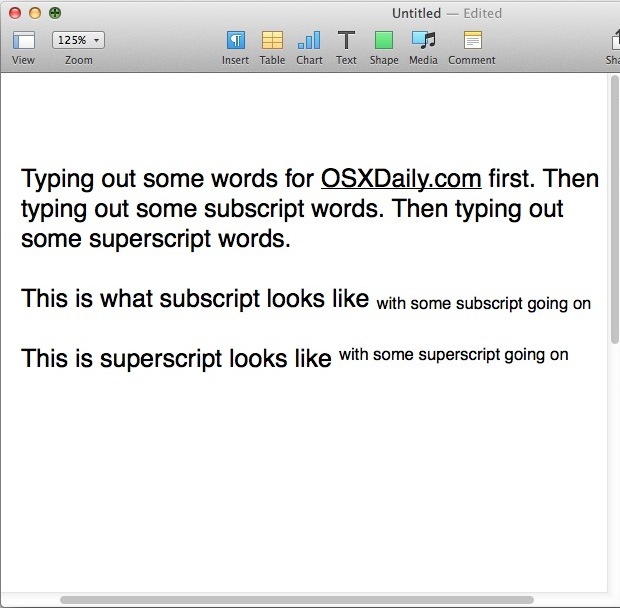 If you need to type subscript or superscript characters on a Mac, you’ll find it’s just a matter of enabling the desired baseline shift in either the Pages or TextEdit apps within OS X. You can also adjust the baseline shifted text to be higher or lower to suit your needs. 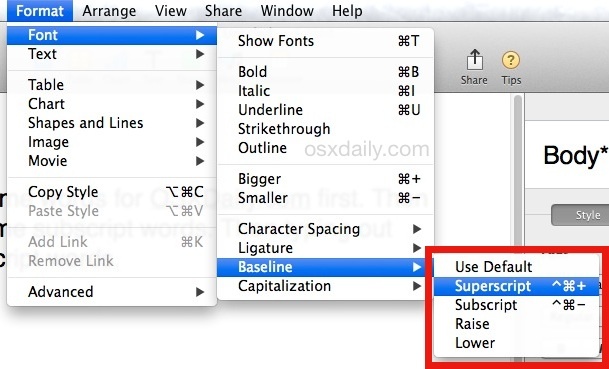 You can also use the “Raise” or “Lower” options within the Baseline Font submenu to create more exaggerated superscript or subscript, which can be beneficial for certain fonts where the baseline change is less obvious. The trick to adjust baselining works the same in both Pages app and TextEdit app of OS X. Subscript and superscript are also supported in the Microsoft Office suite for Mac too. Speaking of Office, if you are aiming to type the baseline shifted text in Pages and then save the file as a Word .doc you may run into some formatting issues, depending on the version of Word and Office in use on the other end. For those situations, it may be best to save the file as a PDF and send that across platforms instead. Of course, printing out the superscripted fonts on physical paper shouldn’t be an issue at all. A much preferable way to quickly type subscript and superscript on the Mac is with two specific keyboard shortcuts in Pages app. In case it wasn’t clear, that’s Command+Control+Plus for superscript, and Command+Control+Minus for subscript. Hitting the key sequence again will move the next typed text to regular baseline. 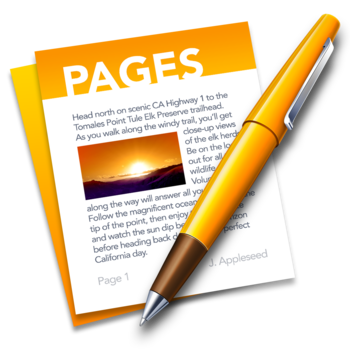 Note these keystrokes are limited to Pages by default, and they are not immediately available in TextEdit. If you wanted to add similar keyboard shortcuts to TextEdit or another text editing application of your choice, you could do that through System Preferences > Keyboards > Keyboard Shortcuts, just be sure to pick a keystroke that doesn’t conflict with any others. A quick sidenote, using superscript is not necessary to type the temperature symbol on the Mac, you can use a specific keystroke to type the degree symbol instead. Or you can go to the View menu, choose “Customize Tool Bar” and add the superscript and subscript icons to the tool bar. And this is why I cannot use Pages as a chemistry teacher. Too many steps to use something I frequently use. Imagine typing a chem test with 30 or more formulas! Hope Apple will fix this someday! Subscripts and Superscripts are non-existent in the Pages for iOS. Yeah, nothing worked in iOS in Pages. Is there a way to use this outside of pages? If so, what kind of keys would you need to press? So, I worked with it to find out what worked on my MacBook Pro (2012) in Pages (version 5.5.3 FYI). And it HAS to be done in this sequence, continue to hold each button down as you go : 1)Control 2) Shift 3) Command 4) =/+ key 5) release all buttons– you will now be in Superscript mode and can type as many numbers or +^- as you want. To get out of superscript mode, follow the same sequence again. For Subscript, follow the same sequence but hit the -/– key instead of the =/+ key. Follow the sequence again to go back to your regular font size. Hope this helps! And thanks to everyone else who answered! 2) Command 3) – key 4) type your subscript..
Catherine’s reply above solved the problem! Thanks. Sorry Folks, I tried every suggestion made here, including the original OSX post’s. NONE of them worked on my desktop (running 10.12.6). Conclusion: Apple hates exponents. And Mac users. This is how you type subscript and superscript characters, including exponents and otherwise, on a Mac. You must follow the instructions as discussed to be able to type the proper subscript/superscript on Mac keyboards. I use this myself, it works. Catherine is correct for my Mac. Also, run the same process and substitute ‘Shift’ ‘+’ for the ‘-‘ to get into Superscript. To get back to Default, the same process but use the ‘shift’ ‘+’. By the way, it makes no difference what order you hold the C and C keys down!